The DKW The Netherlands is developed for sailors, motorboaters and commercial use. 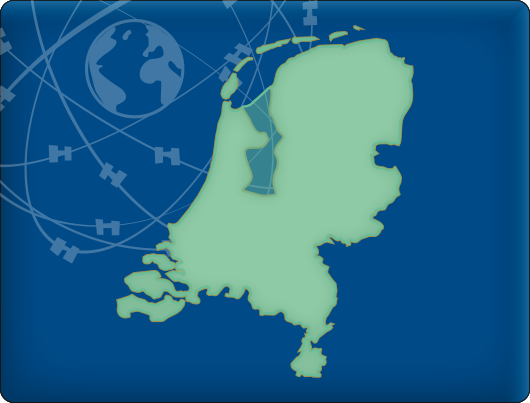 The DKW The Netherlands is the most up-to-date inland water chart, thanks to all available updates throughout the year. All Dutch inland waters are incorporated: the salty waters of Zeeland, the stirring rivers of Limburg and the small canoe fosses in Friesland. The DKW the Netherlands is great in combination with a paid version of WinGPS. Use the route network for a quick and easy way to plan routes along the Dutch inland waters. More information regarding this chart set can be found below the detailed images. In this chart set you will find all Dutch inland waterways. 3 extra detailed charts are added for the Friese Meren, the Biesbosch and the waterways in and around Amsterdam. This chart set has a unique and clear depth image with distinctly colored depth surfaces on the lakes and depth numbers along the waterways. The chart is published annually by Stentec, based on the Top10NL data from the Kadaster, Inland ENC charts, Rijkswaterstaat and user remarks. The chart has a high level of detail with 2 meter per pixel, making it possible to zoom in up until the jetties at your home port. 2 Detailed charts for orientation and route planning (scale 1:25.000, 3m/pixel). 2 Highly detailed charts for Amsterdam and Biesbosch (scale 1:3.000, 0.8m/pixel). 1 Highly detailed charts for the Friese Meren (scale 1:3.600, 1m/pixel). In total, the DKW the Netherlands has 30.960 waypoints, with a.o. buoys, harbours, moorings, Marrekrite moorings, diesel tank stations, watersport campsites, VHF channels, electric chargers ‘Elektrisch Varen’ and ‘Varen Doe Je Samen’ nodes.